I found the Action for Postpartum Psychosis (APP) website and forum via a Google search. A friend had let me know about a charity for post natal depression, and I thought, is there one for postpartum psychosis (PP)? And there APP was. I’d struggled for over a year following an episode of postpartum psychosis in August 2014, when my daughter was 9 months old. 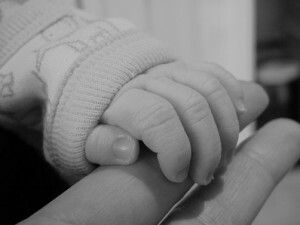 I’d been at my wits end, not knowing how to juggle being a mum, working and trying to come to terms with having had PP. I’d been on a waiting list for counseling through the NHS and though I’d had 6 sessions of CBT a few months after the PP episode, I was still waiting for a proper series of counseling sessions. I didn’t know anyone who’d had a similar experience and I felt lost, with incredibly strange memories and thoughts. And then I logged on to the APP forum. And I read 3 poems by a mum that reflected SO MUCH of what I’d experienced. It was uncanny. She described my thoughts. She’d had similar fears. I’d felt like the weirdest, strangest person, let alone mum, in the world, and here was a network of mums who all attested to the same experience. And they wrote back! And it was like a warm, beautiful hug! And they all said that the same things had happened to them. And they all said you get through it. I’m not a huge social media person and I was very scared of putting up a full post on the Health Unlocked APP site. So I registered for APP one to one peer support. And it was through that, in, I think, September 2015, that I met, over email, my peer supporter. I can’t remember what I wrote to her. But the messages she sent were both chatty and focused. We were able to discuss both our kids and our health, they were knowledgeable about medication and about doctors and psychologists, not with a GP or health professional’s perspective, but with the voice and mind of someone who had been through it and who knew from experience about medication, psychologists and the whole medical whirl. When I confided my fears, her emails were strong, they were steady and they attested to a world that was real, steady and whole. A world that could hold me, my daughter and my partner. She sounded sure footed. She sounded like she was beyond the fears that I’d encountered, but she said she’d had them. And she said that they would go. The peer support emails delivered a firm, grounding warmth. I looked for them in my inbox and was always so happy and heartened when I read them. I think I had explained to her that I seek reassurance, and that this could make me worse. My peer supporter with APP was kind of beyond reassurance. She didn’t reassure, instead, I could tell she was writing from experience. And that’s different. Her emails held a strength that helped give me hope. I had one to one peer support with APP for about 16 months. While I went through that process, after 5 months, my counseling with a clinical psychologist through the NHS came up and I did the two hand in hand for a year. By the last couple of months we were mainly exchanging emails telling each other about the little things we were doing with our kids and in a very crucial way the peer support emails gave me the confidence to focus on this, and not on the fears and nightmares. I began to get a sense that there was a way to live with the fears, and to do it all, live it all, not push away the experiences, but keep moving forward, and enjoy the important times. In January of this year both myself and my peer supporter came to the conclusion that the emails had come to a natural close. It was time to take a step forward. I was nervous. I didn’t want to go backwards. But I found the experience of moving on from the emails was also immensely powerful. The mind is very poorly after PP and it takes a long time to get through it, but it does happen. If I had not found APP I might not have known that. Meeting my peer supporter on email, and all the amazing mums on the APP forum, really has been a lifeline at a time when I didn’t know who to talk to, when it felt like everything I said was wrong. I hadn’t realized that others had been through a similar experience. It’s difficult to find the words to sum it up. When you’ve had PPP and speak to another mum who has had it there’s a feeling that goes beyond the words that you type into emails, it’s a solidarity, and I had no idea I would find it. It’s a very special thing.